Our company, MASA Architectural Canopies, is the leading provider of hanger rod canopies, suspended canopies, and louver canopies in the United States. 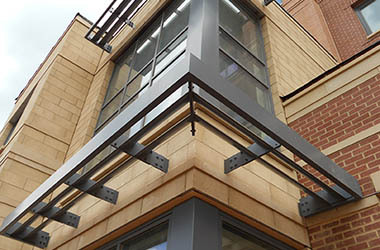 We recognized the fact that there was a need for a resource that could provide custom canopies for architectural projects of any size or scope over 20 years ago, and we have been building our business ever since then. At the present time, we have the ability to service clients all over the country through partnerships that we have established, and we have three huge facilities of our own. These facilities allow us to easily provide hanger rod canopies, louver canopies, and suspended canopies to clients all along the eastern seaboard, and this is consistent with our original plan to grow throughout the northeast. One of them is in New Jersey, there is another one in Pennsylvania, and we have a third location that is in sunny Florida, so we have expanded to the south as well. The manufacturing and installation capabilities that we have are vast, but we also have a fantastic team of highly creative, passionate professionals, including architects, engineers and visionary designers. When you combine all of these assets, you can see why we have been able to gain recognition as the premier resource for custom canopies of all kinds. 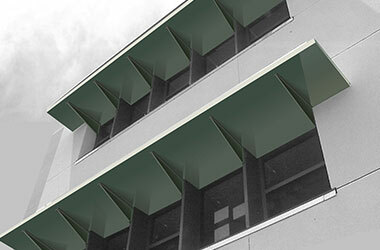 Hanger rod canopies have a wide range of applications. 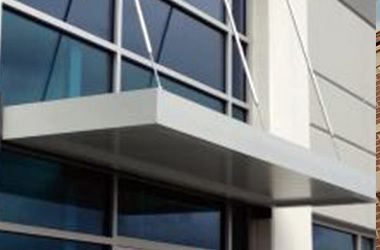 A hanger rod canopy can be used as a door canopy or a window canopy, and they fit seamlessly into many different types of architectural designs. 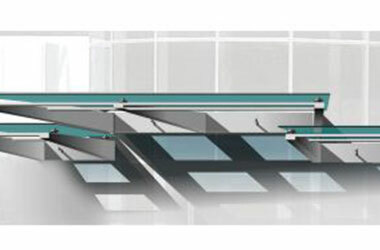 One line that we offer that includes hanger rod canopies is the Extrudeck product, and its lightweight aluminum construction makes it quite versatile. Plus, the bold lines and custom profiles provide countless aesthetic possibilities. A relatively simple hanger rod canopy is a suspended canopy that is post and hanger supported, but there are more complex suspended canopies that can be part of creative architectural designs as well. 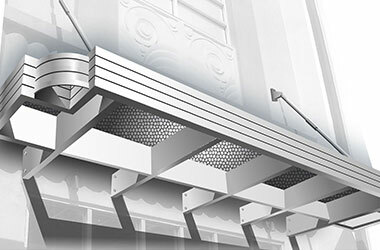 Another type of canopy that we often provide for our clients is the louver canopy (or louvered canopy). These are the canopies that consist of a series of parallel louvers to create a free-flowing effect that can intermingle sunlight with shade in interesting ways. A louver canopy could be used over a large patio, or above a walkway leading between buildings on a corporate or school campus. These are two possibilities, but there are many others. If you are interested in hanger rod canopies, suspended canopies, or a louver canopy, give us a call right now at 800-761-7446.